The foreign minister of Ecuador said its London embassy would continue providing political asylum to Julian Assange, the founder of WikiLeaks. Ricardo Patino spoke about the continued asylum after having talks with William Hague his counterpart with the United Kingdom. Assange has remained at the embassy for the last year avoiding extradition back to Sweden. Assange is from Australia and is wanted in Sweden for questioning over two women’s allegations of sexual offenses that he denies. 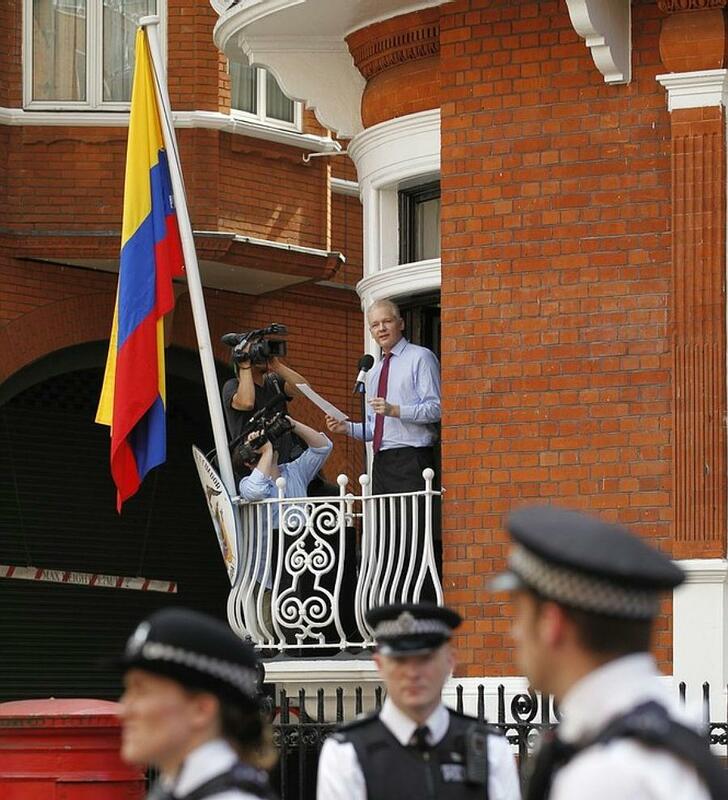 Assange arrived at the Ecuadoran embassy in London on June 19 and if he leaves will be arrested by London police. Patino said that Assange was ready to stay for five years inside the embassy. The UK Foreign Office said Hague and Patino spoke for approximately 45 minutes. While no breakthrough was reached, the two agreed to maintain communication open. The two ministers agreed that a group should be established that would work in finding a solution to the Assange issue. Patino, speaking through a translator, said the government of Ecuador would continue to ensure Assange has the protection he was promised under the asylum of Ecuador, which means protecting his life, his personal integrity and most of all his freedom of expression. The government of the UK has said previously that it has the legal obligation to have Assange extradited to Sweden. Patino said Ecuador and Britain have used different forms of legal justifications to support each one of their positions. Assange said he remained in good spirits even though he has just limited accommodations.